Originally released in November of ‘92, “Bizarre Ride II The Pharcyde” emerged at a time when gangsta rap dominated what people were hearing, seeing and buying, especially on the west coast. 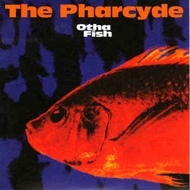 The Pharcyde’s refreshing sound – lively, humorous and inventive lyrics over lush jazzy productions – changed hip hop’s trajectory and influenced generations of artists. Now, landmark singles from “Bizarre Ride II The Pharcyde” are available in a limited 7” colored vinyl pressing housed in ultra-deluxe full color sleeves.